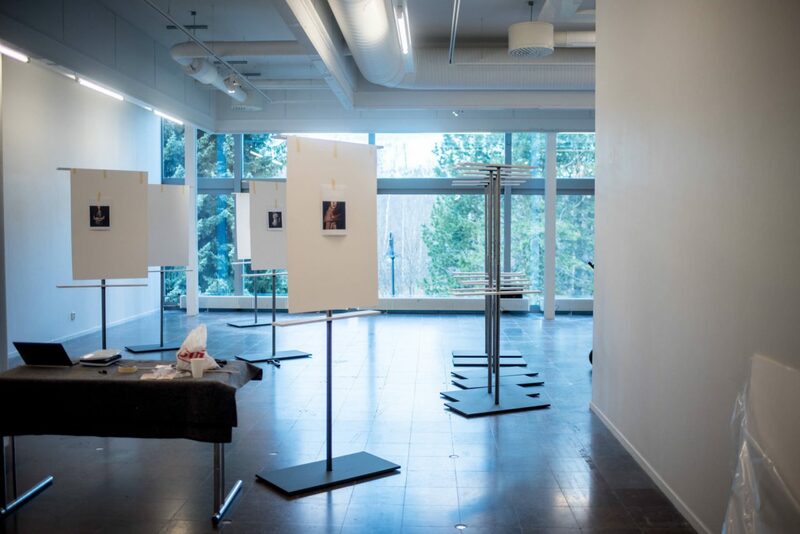 From 7 December until 5 March 2017, Women We Have Not Lost Yet is on show at Konstcentrum Gävle! 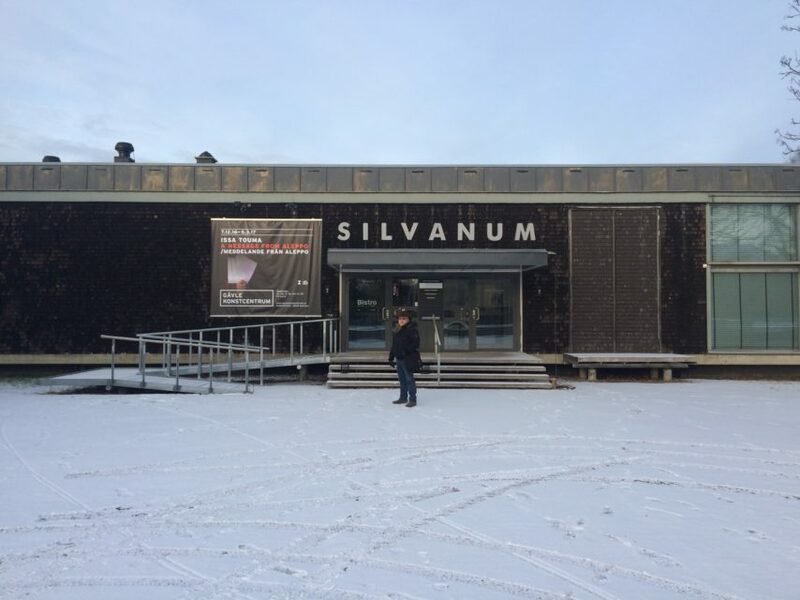 It’s the first time the project is being exhibited in Scandinavia. The Swedish city of Gävle decided in 2015 to become a member in the International Cities of Refugee Network (ICORN). Participating towns are linked by this independent organization that consists of the members themselves; cities and regions that offer protection to endangered artists and promotes freedom of expression, hospitality and international solidarity. 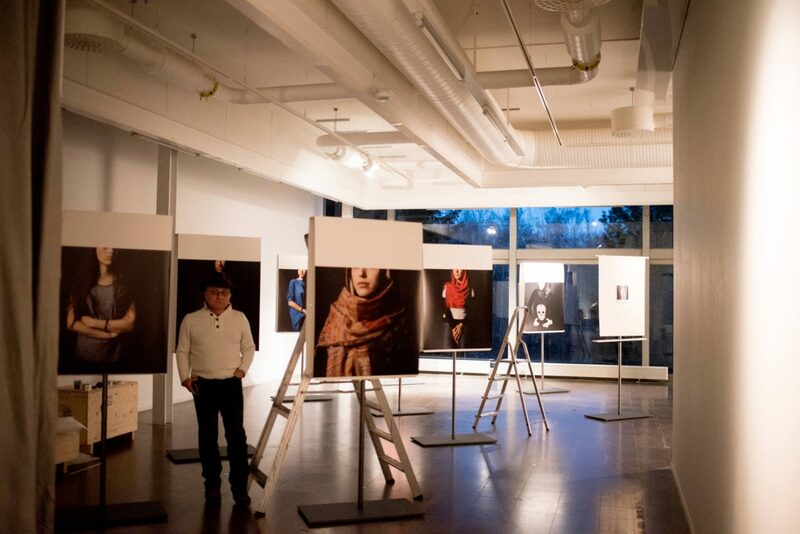 Photographer Issa Touma is one of them. He lives in Gävle for two years now. At the moment, he and Tiago Rosado (Paradox) are installing the exhibition A message from Aleppo, which contains Toumas photography project Women We Have Not Lost Yet, and the two short documentaries 9 Days – From My Window in Aleppo and Greetings from Aleppo. 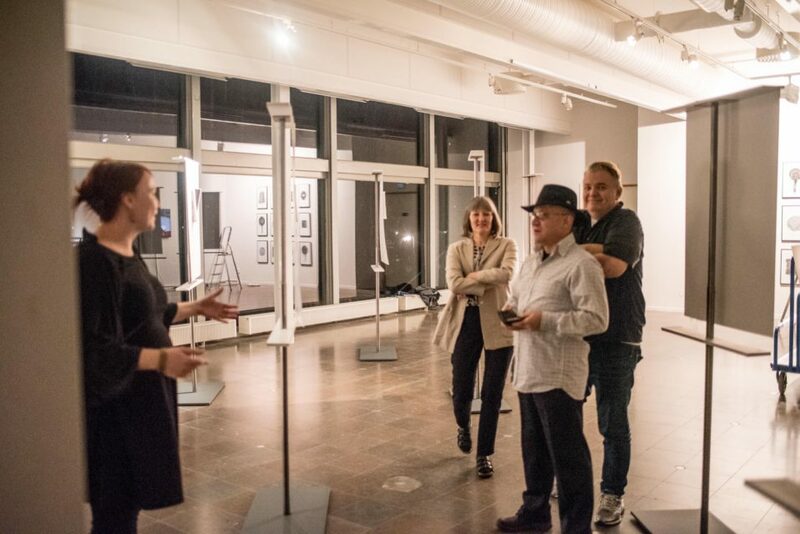 Read more about the exhibition and have a look at the photos below for a short sneak peek! Photographer Issa Touma in front of Konstcentrum Gävle. Women We Have Not Lost Yet is on show until 5 March 2017. 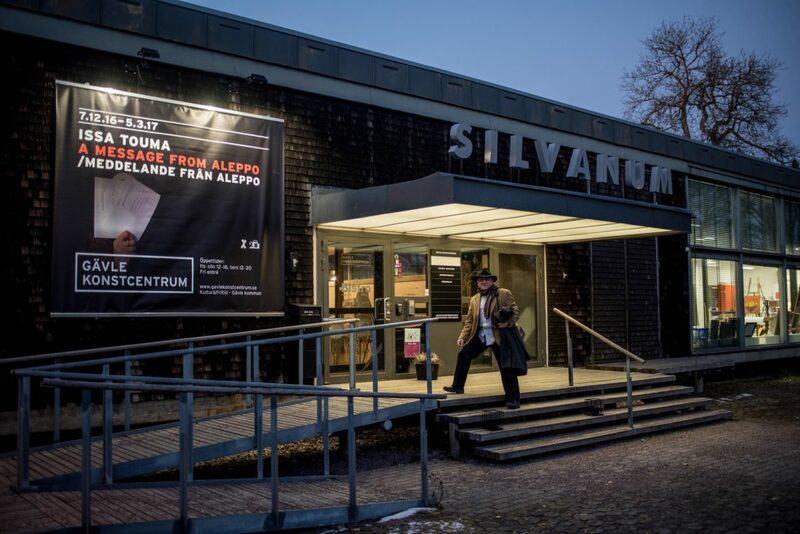 Photographer Issa Touma in front of Konstcentrum Gävle. 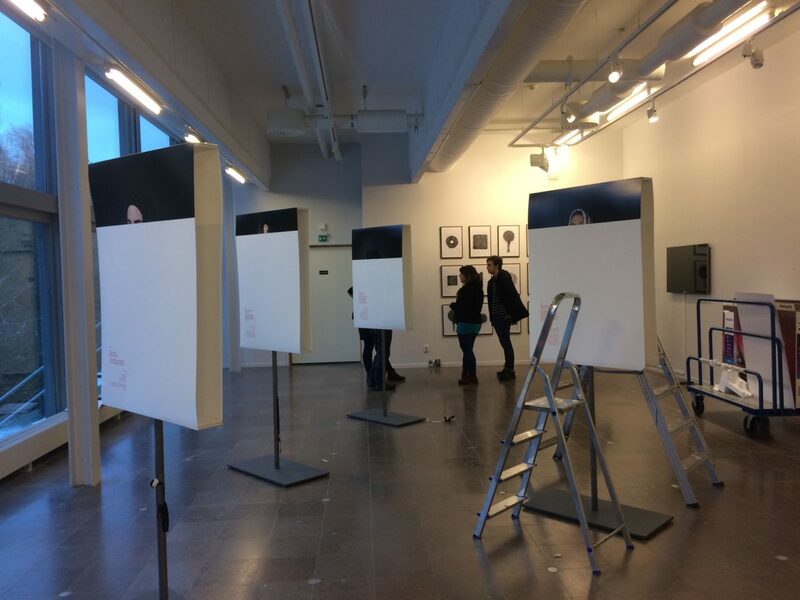 Setting up the exhibition Women We Have Not Lost Yet in Konstcentrum Gävle. 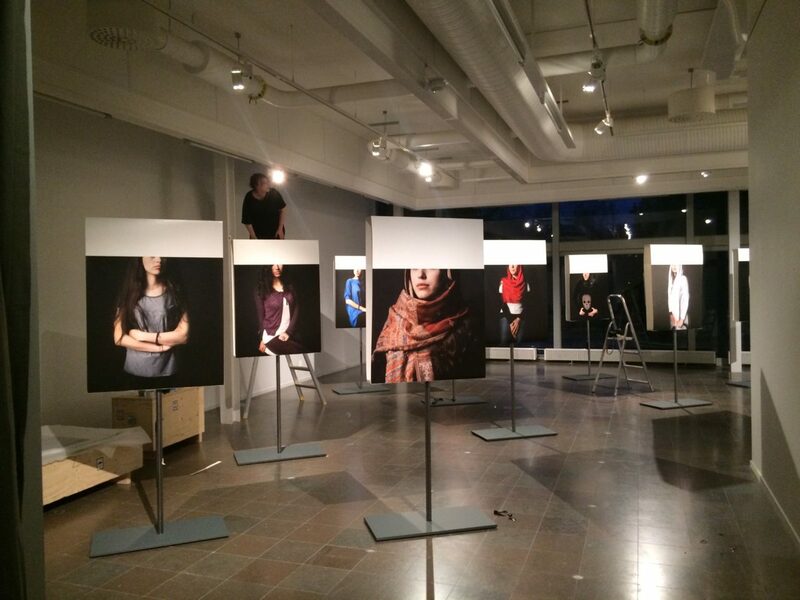 Installation 'Women We Have Not Lost Yet' in Konstcentrum Gävle. Putting the photos of the women in the right order. 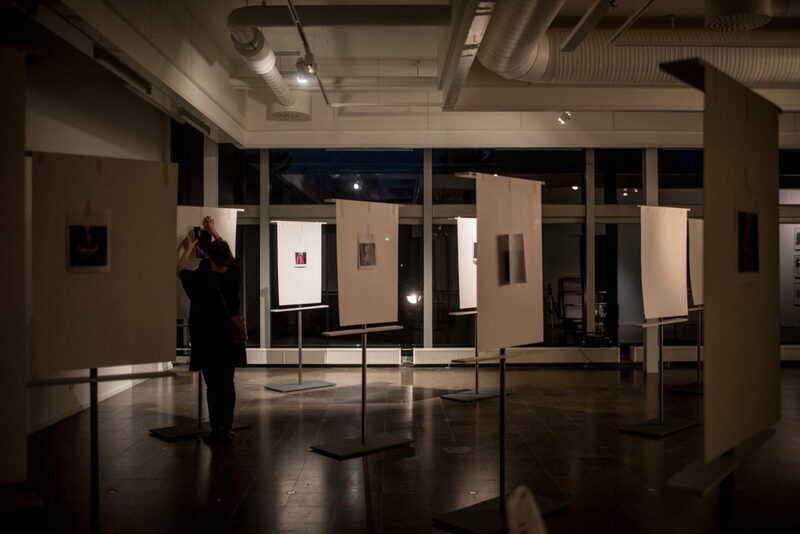 Installation of 'Texture of the City', works on paper by Aleppean Art Camping participants in Konstcentrum Gävle. 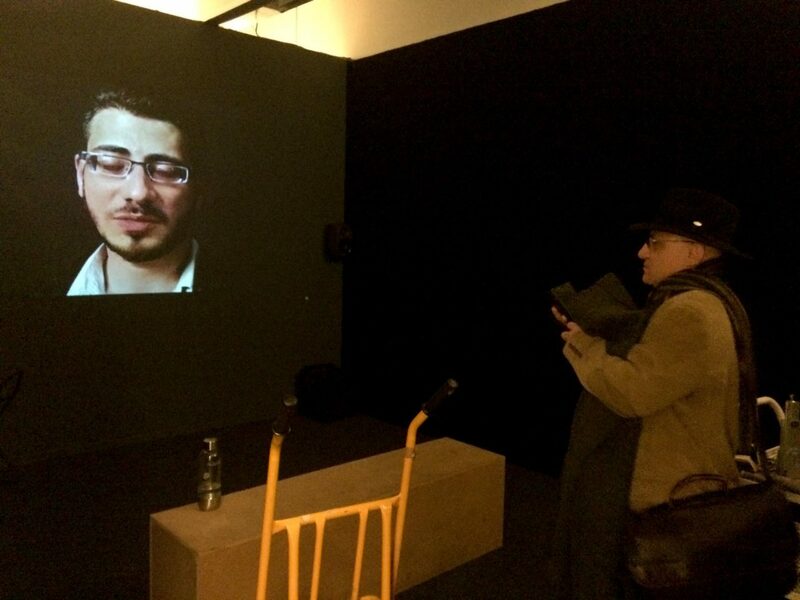 Screening 'Greetings from Aleppo', the new documentary by Issa Touma, Floor van der Meulen and Thomas Vroege. 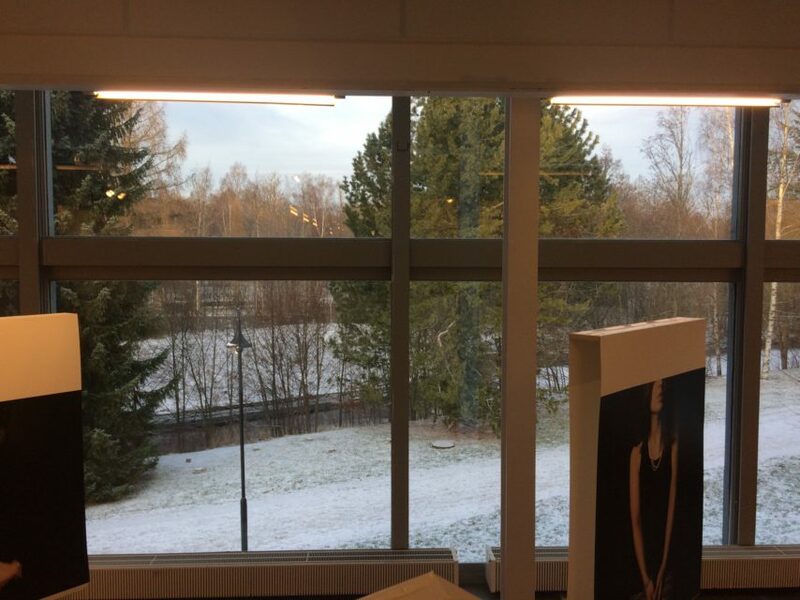 Women We Have Not Lost Yet by Issa Touma in snowy Gävle. 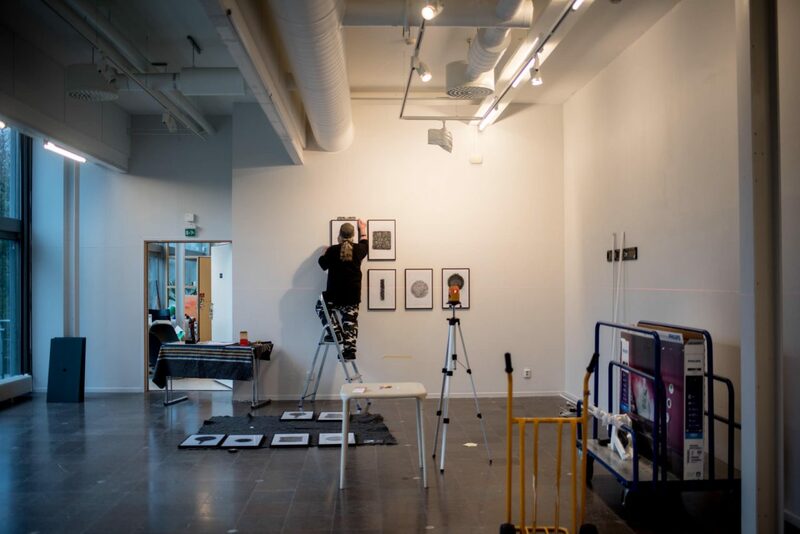 Installing Women We Have Not Lost Yet in Konstcentrum Gävle, until 5 March 2017. Sneak peek! Women We Have Not Lost Yet in Konstcentrum Gävle, until 5 March 2017.